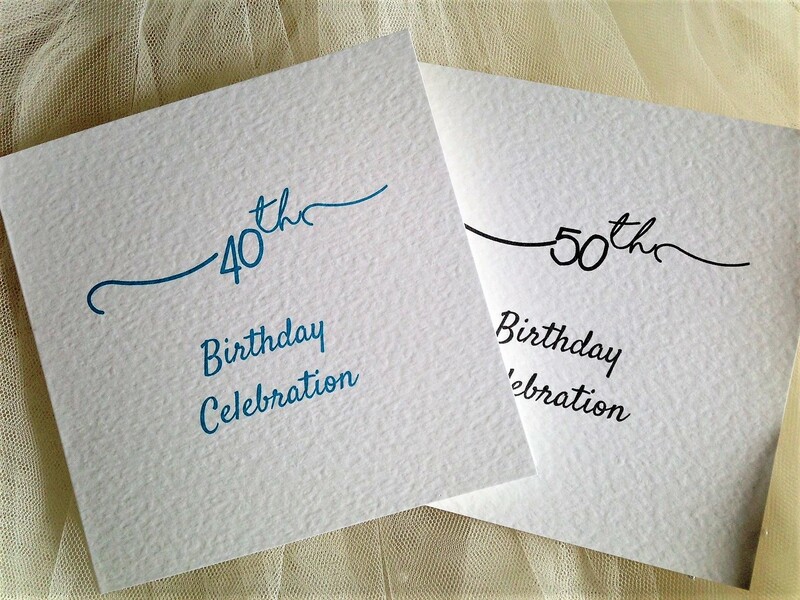 Our Square Centre Fold Birthday Party Invitations are available for 18th, 21st, 30th, 40th, 50th, 60th, 65th and 70th, 80th Birthday Party Invitations. 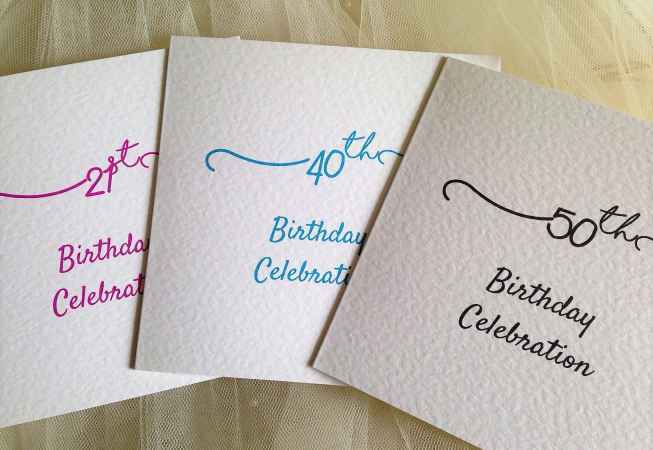 We can print in any colour! 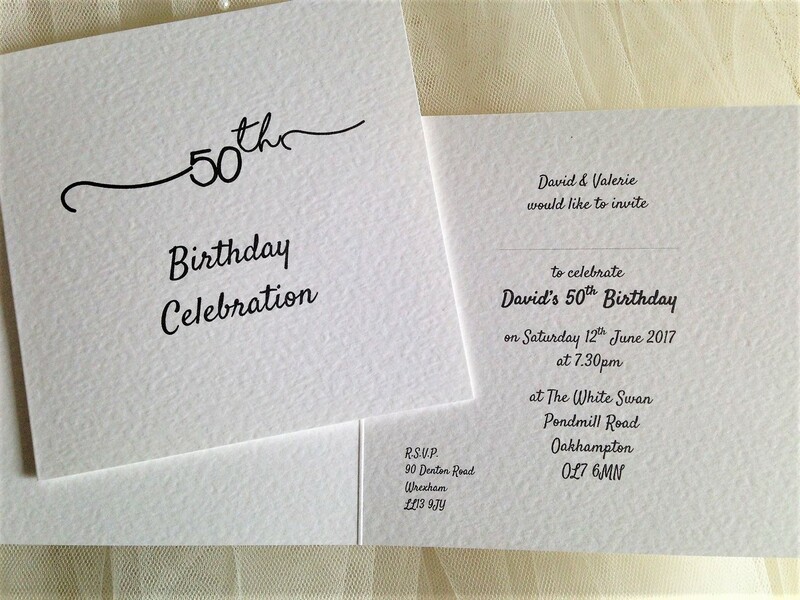 Our Square Centre Fold Birthday Party Invitations are printed on a thick top quality heavy weight (270 gsm) hammered card and are available in white or ivory. They are 15cm square. 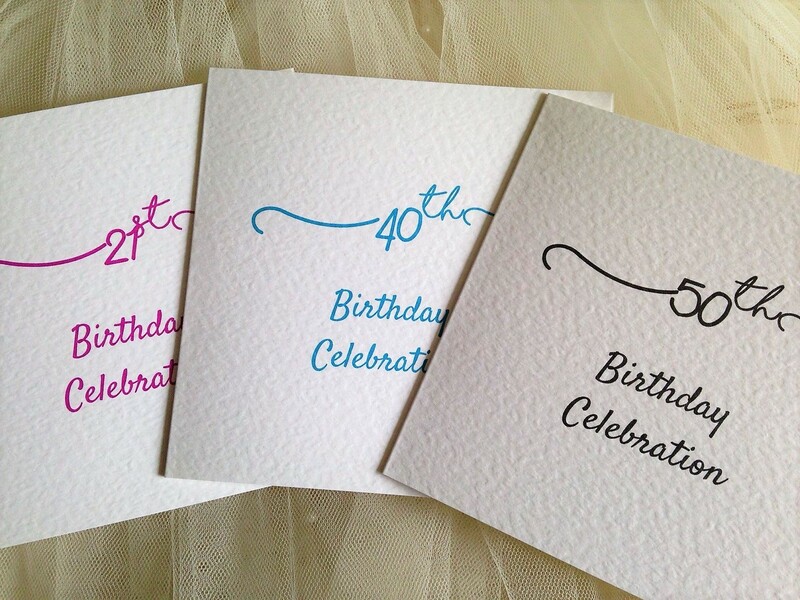 Choose your card colour and font choice/colour for the inside wording. Mix and match to get the look you’d like. Free guest name printing (optional). 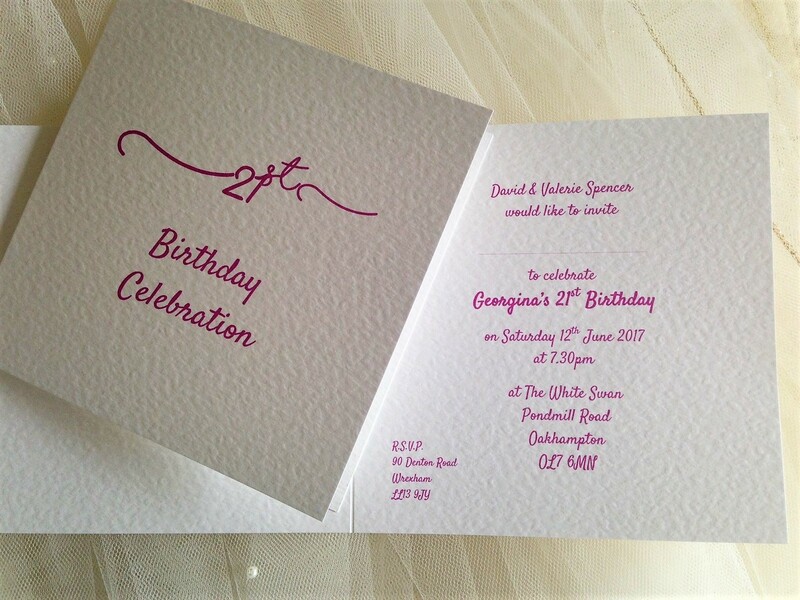 Invitations can be printed in any colour!